Leading Indian engineering and construction group Shapoorji Pallonji (SP) said its real estate arm has started work on Imperial Avenue, its debut project in the Middle East region. 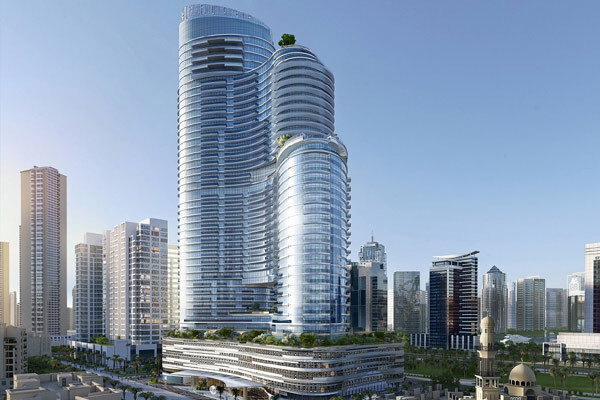 A $350-million luxury residential project, Imperial Avenue is being developed by Shapoorji Pallonji International Property Developers on a 95,600-sq-ft area in Downtown Dubai. It is scheduled for completion in the fourth quarter of 2019. Announcing the launch, Jacob Joby, the director (development) at SP International Property Developers, said: "We are excited to begin construction of the Imperial Avenue, which is expected to be completed in 34 months." "We have started with the early works such as piling and shoring for the project, which will be completed within the next two months," stated Joby. "Following this, work on the superstructure will commence and will be constructed by SP Middle East, a division of our company with 45 years of experience as contractors in this region. This is our flagship project in the region, and we are leaving no stone unturned to make this an iconic project," he added. One of the key features in the project is a four-floor high void, ‘The Window’, located between the ninth and 12th floor with landscaping and an infinity edge pool on the ninth floor. The 25 residential floors above the void are floated with one-of-its-kind 4-m-thick post-tensioned transfer slab measuring 30 m by 20 m. This transfer slab is located between the 13th and 15th floor, and will be poured in two layers of 1.2 m and 2.8 m sequence, said Joby. According to him, the enabling work is in progress, and as planned, major work on the superstructure will commence next month. The raft, substructure and structural works till the first floor are scheduled for completion by October. From November 2017 till October 2018, construction from the second to 35th floors is planned. The remaining floors till the roof are expected to be completed by January 2019, he explained. The façade works, which is a major component of the project, will commence from January 2018 with an aim to be completed by April 2019. The mechanical, electrical and plumbing (MEP) and the finishing works will be progressively completed during the period of November 2017 and July 2019. After the final testing and commissioning, the project is expected to be ready for handover by October 2019, said Joby. Furthermore, the advanced technologies with a focus on sustainability including renewables featured within the project design are expected to help reduce the service costs by approximately 15 to 18 per cent, while the 1.4 million sq ft total built-up area of Imperial Avenue will emphasise on larger living spaces at minimal costs, he added. Moreover, this tower will also encompass 21,000 sq ft of retail space, which will include eight shops to further enhance community living. Offering investors, the opportunity to purchase luxury apartments in the heart of the city at a starting price of Dh1.47 million ($381 million), Imperial Avenue will add to the city’s growing number of high-end residential projects and create maximum benefits for its residents and the community. Rayomand Dastur, the sales and marketing director at SP International Property Developers, said: "Today, customers can purchase an apartment at Imperial Avenue by paying 10 per cent booking fee and an additional 10 per cent of the cost within 90 days from booking as well as signing the sale and purchase agreement (SPA)."